We all have those authors that we instinctively go to when we need something fun, original, and well written. Something that will keep us on the edge of our seats, engaged in the story from beginning to end. Something we will think about when we put the book down and something we will still be thinking about long after it is over. Jennifer Lynn Barnes, is that author for me. 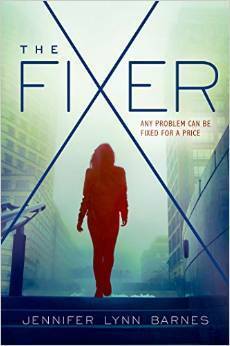 She hasn't let me down yet and her latest release, The Fixer, is testament to why that still remains the same. I adored this whole freaking book. I devoured it. I laughed, I smiled, I stressed, I held my breathe, I sighed, and I couldn't put it down. Tess, Ivy, Adam, Brodie, Vivvie, Asher, were all instant hits. They all made me smile and laugh numerous times, and I couldn't help it, I fell in love with them all as the story progressed. The storyline was completely engaging, completely unique and the added bonus of a mystery and a thriller, on top of a coming of age story, was something that was completely irresistible. Did I mention that I really loved this story? And honestly, I can't even begin to describe why other than the above already mentioned. It was just appealing, fun, exciting, action packed, mystery filled, funny...I could go on and on but eventually I will run out of adjectives to use that apply. So, just know this, I loved every minute of this read. Barnes is an amazing story teller and I love that even the bad guys, are hard to resist. I am so excited for this new series and will be on the edge of my seat waiting for book two to be released. She's my go-to author too when I want a mystery that is exciting and entertaining. 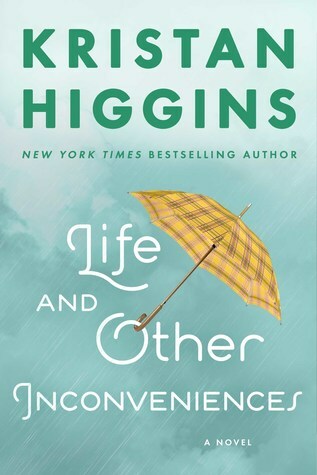 I really enjoyed several of her books, and while I wasn't aware of this one until now, I'm definitely going to get it soon, preferably on audio. Yay! I'm so happy to hear you say that Maja! I really want to read a great YA thriller, and this looks like just the one. Adding this to my TBR, great review! This is a great one, in fact all of her books are. I highly recommend them! YAY!!!!! I'm going to be starting this one soon so I'm really glad to see you loved it Ali! Jennifer Lynn Barnes has never let me down either:) So excited to pick this up now! You're going to love it! So much fun! I don't think I've read anything by Barnes, though I do know her! That's great you loved this one too. It sounds awesome. Oh gosh, try her, I bet you really like her work. It is always a lot of fun. Oh this sounds really good! I'm reading Trust Me, I'm Lying which is about a con artist so it's kind of similar. I just love these themes! That one sounds good as well, I'll have to look into it Candace. I have only read the one book by Barnes, I need a good mystery, spy thriller. I am going to see if I can still snag a copy of this since you recommend it so highly. I hope you do and really like it Heidi! Did you like the one book you read by her before? It was a bit of a thriller but more mystery than anything else but still, so darn good! I'm actually reading this one now! I'm about 70% in and I'm really enjoying it! I love the characters & Asher cracks me up! Yes! Oh my heck, I love Asher, so darn funny! Yeah. She's really good with these kind of stories. I'm glad you enjoyed it! I have this one waiting on my TBR for me. i'm so glad that you said it is original too. I need to read this one. 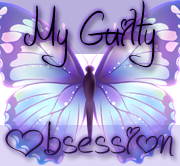 I can't wait until you read it, I hope you love it as much as I did! Thanks so much for stopping by, I really hope you like it as well. Ahhhhh!! This sounds SO GOOD!! I need to get to my ARC soon. I'm so behind on reviews. :( But Yayyy!!! This sounds awesome, and something that I might like! My first time hearing about this author. Wonderful review. Wow, this does sound like a page-turner, it looks like you're having luck reading great story lines! I need something different to read. It seems my "streak" isn't quite done yet. Unique reads are rare and golden. I feel like I've read "everything" and to find something different is certainly a fantastic thing. This one sounds pretty interesting. Glad you enjoyed it. It's really nice to have those go-to authors! Yay! I hope you get approved for it! If I remember right I've tried a book by this author but I didn't know she had a new one, now I'm curious!! I bet you would really like this one Melliane! Another new series! My head is spinning, seriously. I haven't read this author. It is good to know that she has been a consistently good read for you. This does sound good, and original for sure. A fixer who makes political scandals disappear? Yes. That's just awesome. Thank you for your review. Another one for my TBR. I will let you know when I read it. I can't wait to read this! I'm enjoying her The Naturals series. Are you reading that too? Yes! I love that series! I can't wait for book three to be out. This series kind of reminds me of that one in a weird way. I think you will like this if you are loving The Naturals! Your insights are definitely persuasive! I read the author's previous series two years ago (at least the first book anyway) and wasn't impressed. However, I might give her a second chance with this one... here's to hoping the magic works the second time around! Keeping my fingers crossed it does! It was so much fun Lauren! Glad you are interested in it too! If you adored the whole book, I am definitely sold on this. Adding it to my list now. Great review!